UPDATE: We’ve discovered that your phone is connected via bluetooth to the unit, and in turn the unit connects to the Polo’s audio system by bluetooth causing the shoddy streaming quality. If you’re clever you are able to connect to the car’s radio directly making the add-on system redundant. 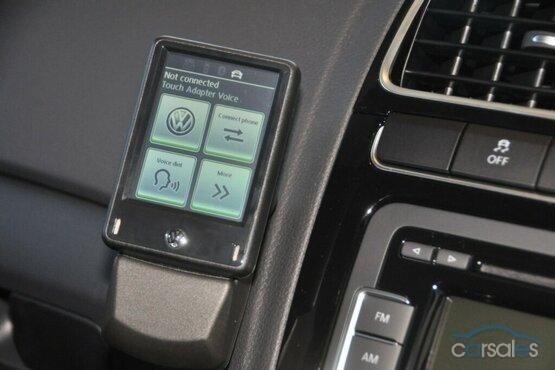 Obviously this solution is only for the top model (GTi) because it has the same radio as the Golf. Lower models must still bluetooth through the dash mounted unit. The Phone part works well but the audio streaming is unusable. The sound is just not acceptable with no base at all and very little midrange. It makes the speakers sound like they a being powered by a hamster wheel. You have no choice but to use the UBS input if you don’t want Madonna to sounds like Alvin and the Chipmunks. 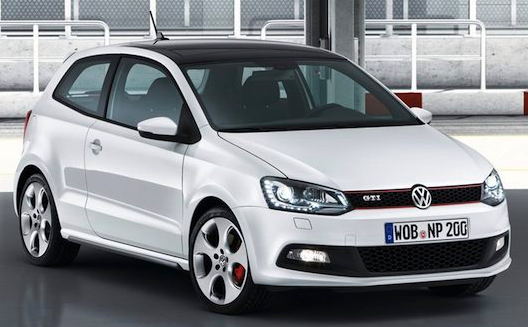 Do you remember that cute little 5 door Polo GTi we drove last year? We liked it muchly. It wasn’t without its little foibles of course. It was absolutely full of no bluetooth connection whatever which we thought VW ought to have thrown in for free for a car of this price. Other car makers do it standard these days even in the poverty stricken world of entry level Korean motoring. Recently a chum bought himself a bright-as-a-new-penny 3 door Polo GTi and VW now include Bluetooth standard. I’ve visited a lot of dealers over the years and it has to be said that they vary enormously in terms of service. Some act as if you are the only customer they have had in 20 years whereas others treat a buyer as an inconvenience. The latter was the case at the local VW dealer. After standing around like a couple of ninnies we approached the desk to see if a salesman could be sent out to deal with us. It seemed to put them out considerably. I have visited this dealer a few times in the past and it’s usually the same. In this instance the friend would settle only for a motor car from the Hot Hatchery and he had his heart set on a Polo because the Golf was a smidge more than he wanted to pay. It seems simple enough and in this case the test drive was a mere formality. He had driven our test GTi last year, but drive it we did. So, back to the dealership for a spot more ignoring. It’s an odd way to run a business. We spotted the bloke who had given us the keys and asked for some help as there was some signing to be done but this elicited little interest and almost no enthusiasm. You’d think he’d be waiting at the door with a contract in hand and a willing smile on his face but only a small cloud of dust occupied the space where there had once been a disinterested salesperson. How extraordinary. It was starting to feel like an episode of the Twilight Zone because you’d think we were asking for someone to sell us their first born. We convinced him there was money in the pocket so finally gone down to tin tacks but it rather felt like we were doing his job for him. We got the run down on price and availability but the waiting list read more like War and Peace. Buyers are expected to wait for a year, yes 12 months, for their car to be delivered. These days is not acceptable, unless you’re buying a $50 million super yacht and fancy having it refitted with leather coaxed of identical twin cows when the tide is high at Aberystwyth, and want it painted with tinted Asps milk. I won’t bore you with the minutia of deposits and contracts. What was quite odd was that my slightly odd friend seemed grateful to be on the waiting list and equally happy to be finally leaving the dealership. He remarked that somehow he felt he had been fleeced and I think that’s a sad impression to be left with. Keep in mind we test drive was under 2 k’s and the deposit a thousand dollars. For the next few weeks my mate drove himself demented by combing the sales ads to make sure he had the best deal. I do not commend this action as invariably there is a better deal somewhere and if you don’t draw a line you’ll need to be medicated. He became more and more despondent at the growing number of Polo GTi’s for sale right across Australia. Aussies are a fickle bunch, once the warming glow of a new purchase turns into buyers remorse, we are only left with doubts mixed with frustration and confusion. Would you believe that many of these cars seemed to be above the RRP of the brand new vehicle? On 3 occasions we called a dealer in Melbourne who appeared to have GTi’s demos listed at below the price of a new car, exactly where demos should be. The man explained the website made a mistake in the listing price. I detest being fed porkies. We all know whoever lists the car writes up the details so if the price was wrong it was the fault of someone working at the dealership, not some nebulous a weird quirk of the interweb thingie. We smelled the faint whiff of fecundity in the air. The low price accidentally published was clearly there to elicit inquiries and generate sales and was not accidental. After 3 different listing I’d call it habit. By now 6 months had passed and the circumstances surrounding the living situation had changed and the friend, who had stayed with us for several months, decided to move to Melbourne. This meant the 6 months left to wait for delivery was no longer tenable. 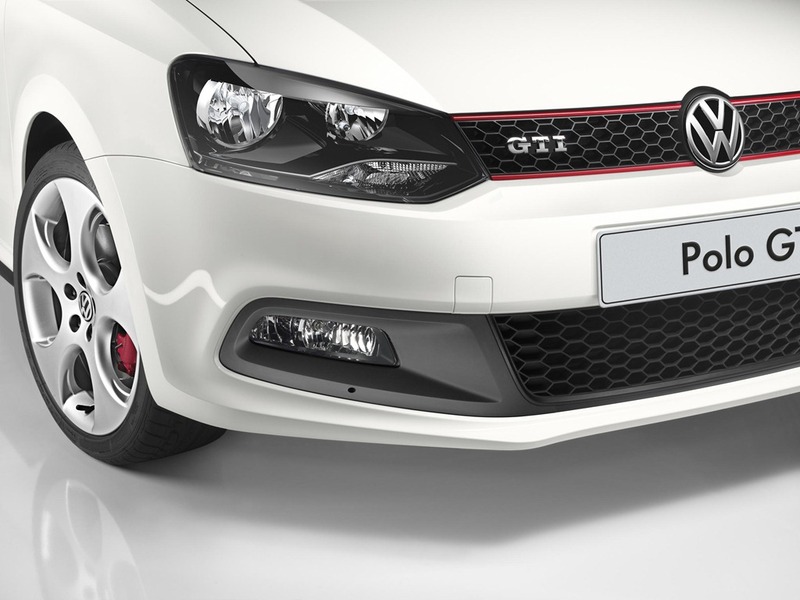 I could not understand how VW could have a waiting list for new Polo GTi’s yet have a plethora of them listed as current stock for sale on the websites at the very same dealer. They explained these as cancelled orders. When asked if those listed on the car sales website could be used to fill the waiting list, we were told no. In other words although there were many Polos available immediately, those on the waiting list must wait the prescribed time. 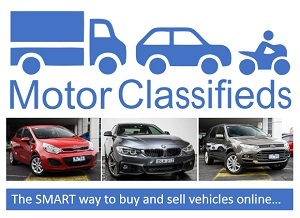 The cars on the website could then be sold to other customers. This madness was more indicative of public service bureaucracy than an efficient German multinational. Even more galling, VW had revised its inclusions which now added some items that had previously been options as standard equipment which meant our price had dropped but the salesman was unsure if that price drop applied to us. The contract allows VW to put the price up should increases come along but not decreases. It was like watching an episode of the Keystone Cops. The excuses were beginning to take the polish off the new car and M decided that he would start looking around for another car and indeed investigating other brands. He fancied a WRX but something kept drawing to a Polo like an umbilical stretched beyond recognition. He rang the sales bloke and put it to him in no uncertain terms. “Give me a car from somewhere in the dealer network be it a Polo or Golf or cancel the order and return the deposit” he cried defiantly. Suddenly my friend became a priority. Calls were made and staff scrambled, and in under a week a car had been found and delivered. Isn’t it astounding what one can achieve when one asks, the point is one shouldn’t have had to ask. The car they found was slightly up-spec’ed so M had to hand over more dosh. It sounded awfully like upselling to me. Nonetheless once in the garage all that faded into obscurity. It seemed like a lot of angst to go through when a dealership should be trusted to ensure their customers are treated like royalty, rather than an inconvenience. Now there are a few weeks and 1,500 k’s under the belt, the debacle involved in to buying process has been dulled by the joy of ownership. 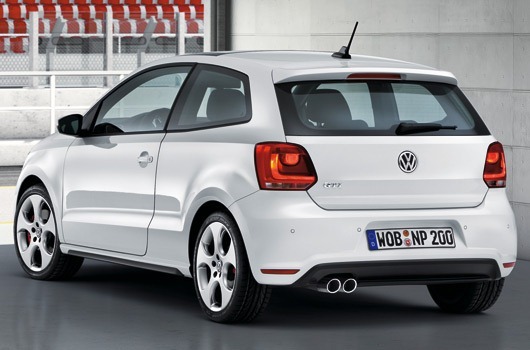 All Polos sold here come with the supercharged turbo 1.4L petrol coupled to a 7 speed DSG. The interior is sombre but functional. The only drawback is the Bluetooth unit. One of my pet hates is a carbuncle screwed to your dash looking back at you. The unit is attractive enough for an aftermarket unit but unforgivable for something installed at the factory. Would it have killed them to conceal it. It’s the same radio unit they use in the Gold GTi so we know they have a built options. Can you imagine having to take the screen out of your glove box every time you jump behind the wheel? I can and let me tell you it’s annoying. The LCD in front of the driver insists that you clip in the bluetooth module. VW says the is audio streaming as part of this package but the sound is so awful as to render it utterly useless. There is little volume, no base and almost no midrange. I’m shocked to think that a company which prides itself on quality and technical advancement would make such a dreadful mistake. Moreover, it isn’t one they are going to correct. The DSG seems to have become a little more compliant since the car was collected too. The change is pretty good and the ride is smooth. It’s all tickety-boo and pretty much as we reported last year. All in all it’s been a decent purchase. There is no doubting a very small car for $35k is pricey and there are other cars in the price range that are at least as good to drive. They also have nicer interiors with gadgets galore. Though I like the Polo GTi very much it would be churlish of me not to recommend having a good look around before you commit to buying. Also chose your dealer carefully. Be sure they show as least the same amount of interest in you that you have shown in them. They are not doing you any favours by allowing you to buy one of their products. Please help me to sync bluetooth step by step, i just cant connect because of the stupid add-on module… When i get to the Phone Menu, my FISCON freezes, i can not look for devices or enter the help menu… How can i do this? Please help. Don’t use the add-on dash mounted unit. You can connect through the menu in the audio unit itself. In fact after we discovered this VW Australia now advise all their customers to connect this way. Once connected directly, the audio streaming quality is as if it was connected via USB. As it happens I have a friend with one of these so if you still have trouble I’ll get the step by step instructions from him. Let me know how you go. Use the Bluetooth option in the audio system, don’t touch the clip-in unit until the phone has been paired through the radio.